Cast: Anthony Mackie, Larry Gilliard Jr. The feature-film debut of filmmaker Rodney Evans, who wrote and produced in addition to taking on directing duties, Brother to Brother explores the life and struggles of black, gay artists in the present and past. 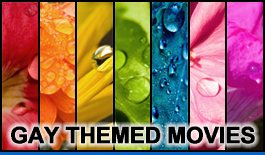 Anthony Mackie stars as Perry Williams, a young man dealing with the strife involved with being both African-American and a homosexual in contemporary New York. He is shunned by his father for his sexual identity and wary of being viewed as a sell-out by black peers when his work gains a white audience. When Williams meets an aging poet who was involved in the Harlem Renaissance of the 1930s, he suddenly finds himself transported back in time and cavorting with the likes of Langston Hughes (Daniel Sunjata) and Zora Neale Hurston (Aunjanue Ellis). Among such legends, Williams is able to gain perspective about his own life. 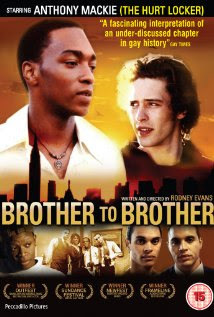 Also starring Roger Robinson and Larry Gilliard Jr., Brother to Brother screened in competition at the 2004 Sundance Film Festival.